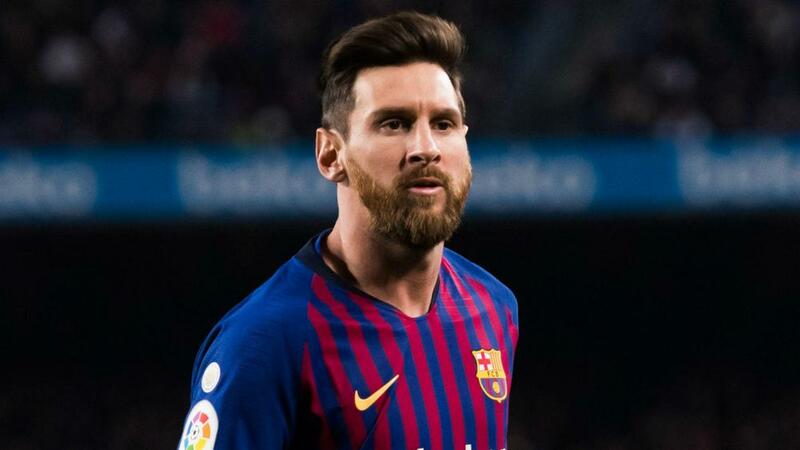 Lionel Messi brought up another incredible career landmark by scoring his 400th LaLiga goal against Eibar at Camp Nou on Sunday. Messi is the first player to reach a quadruple century of goals in the history of Spain's top flight. Here, we take a look at 10 of his very best in league action for Barcelona. Even at 17, Messi had the confidence of a veteran. Having already had one goal wrongly ruled out for offside - an audacious chip from the edge of the box - Messi's confidence was far from knocked and just a minute later he latched onto Ronaldinho's scooped pass before lobbing the ball over Albacete stopper Raul Valbuena from 16 yards. Some way to open your account for one of Europe's great clubs. The prodigious youngster had already scored two equalisers in this match but, when Sergio Ramos headed home with 15 minutes left, it looked like Real Madrid would see the game out. Enter Messi. The forward controlled Ronaldinho's pass on the edge of the box, left Ivan Helguera in a heap on the ground, and fired past Iker Casillas into the corner to complete his maiden hat-trick. Thierry Henry's favourite goal by Messi during their time playing together for Barca. Why not let the France great take up the story? "It defied logic what he did," Henry said in the 'Take the Ball, Pass the Ball' documentary. "There's a diagonal ball and he controls it on his chest. He runs full speed, then the first player goes and the second player is just behind. If he takes another step, that player will clear the ball." A shimmy of the body and deft touch later – in the blink of an eye – Messi stabbed into the top corner to conclude a moment of 100-miles-per-hour brilliance. Described by some as 'a defining goal' in his career, Messi's strike against Real Zaragoza seemed to take him from very good into another class entirely. Messi displayed all he had to offer in this goal, which began when he won the ball from a tackle on halfway. From there, he shrugged off one challenge, raced towards the box and turned a defender inside out before drilling the ball into the far corner - leaving coach Pep Guardiola speechless. If any of the years Messi has been playing can be defined as "his year" it was 2012, when he seemed to break every record under the sun. The one that set a Guinness World Record was his second against Real Betis in December - the 86th goal of the calendar year for the Argentine. It was a typically Messi goal, too, as he slammed home first time into the far corner from Andres Iniesta's layoff to surpass Germany and Bayern Munich great Gerd Muller's mark of 85. Barca would regain their LaLiga title from Real Madrid but were in the midst of a Champions League semi-final shellacking from Bayern Munich when they arrived at San Mames. A goal down in a match that would eventually finish 2-2, Messi received possession from Thiago Alcantara, twisted past Mikel San Jose, Carlos Gurpegui and Ander Herrera with minimal space in which to operate before nonchalantly sidefooting home from just inside the penalty area. Messi rounded off a 5-0 procession at Camp Nou with a frankly absurd piece of technique. Cordoba defender Jose Angel Crespo made glancing headed contact with Jordi Alba's searching cross from the left that might ordinarily have averted danger. But Barca's star man pulled the ball down with his left foot, swivelled 180 degrees and crashed right footed past Juan Carlos at the goalkeeper's near post. El Clasico rarely disappoints for football fans around the globe, and this edition was no different. Anything but a win would essentially hand Real Madrid the title, and it looked to be headed for a 2-2 draw until Sergi Roberto's swashbuckling run in the 92nd minute gave Jordi Alba the chance to square it to Messi, who finished with aplomb from the edge of the area for his 500th Barcelona goal. Over the last few years, Messi has really mastered the art of free-kick taking, with the skill being one of few to elude him in his younger days. This strike in a 4-2 LaLiga triumph at La Real last January showed just how far he has come, as he lined up a set-piece about 35 yards from goal and coolly curled it into the top-left corner, wrapping up victory for Barca after falling 2-0 behind.